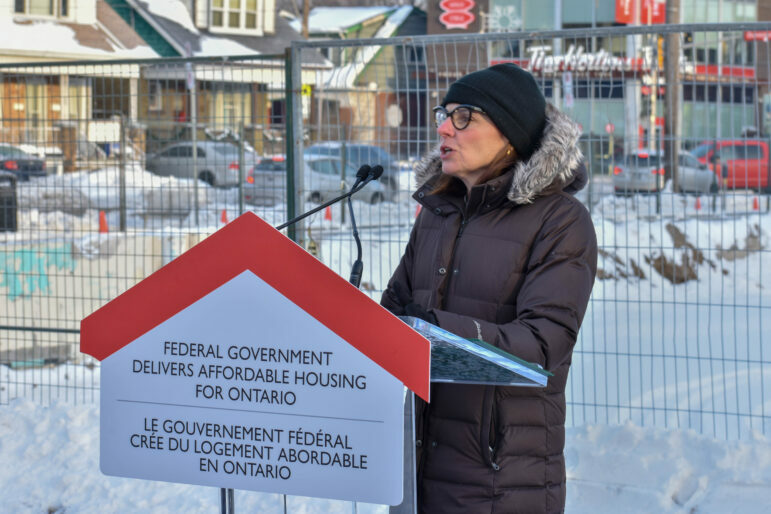 Hamilton West-Ancaster-Dundas MP Filomena Tassi announces National Housing Strategy funding for the YWCA Ottawa Street affordable housing project. Note: This story was first posted to Joey’s Instagram this morning. Follow Joey on Instagram for regular photo stories. $10.1-million from the National Housing Strategy is going to the new YWCA Ottawa Street affordable housing project. The project will create 50 units of affordable housing for women and their children, including 10 fully accessible units. All common areas will be fully accessible. Of the 50 units, 15 will be dedicated for women with developmental disabilities. In addition, the building will house a new YWCA location on Ottawa Street, including their successful senior’s centre. Today, YWCA CEO Denise Christopherson stated the project has completed the Site Plan stage of the City of Hamilton’s staff review process [the project received Council planning approvals in July 2017, the project needed to secure funding, complete planning reports and studies, prior to Site Plan completion]. Christopherson states they expect to receive building permit issuance in the coming weeks, and construction will begin shortly thereafter. Federal Minister of Seniors and Liberal MP for Hamilton West-Ancaster-Dundas Filomena Tassi made the announcement. 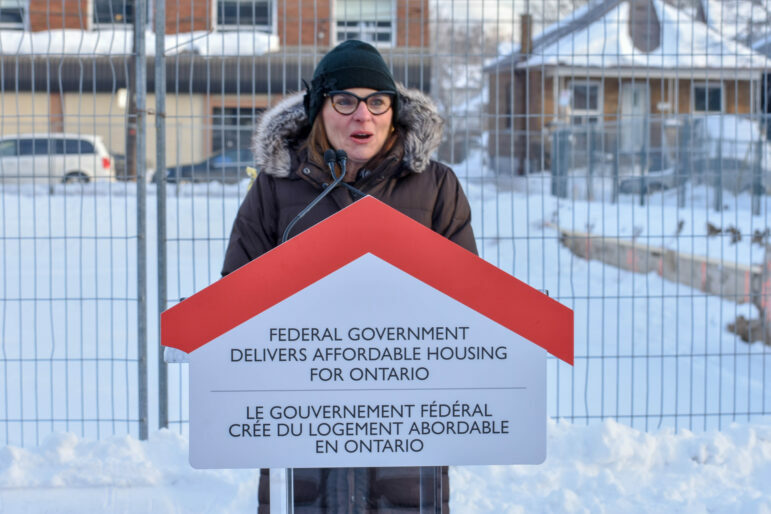 Noting the cold, Tassi skipped over her prepared speech, and talked about the importance and impact of the YWCA’s Ottawa Street location to her as a child growing up on nearby Grosvenor Avenue one block to the west. The City of Hamilton’s affordable housing development charge waiver is an in-kind savings contribution of $1.5-million to the project.